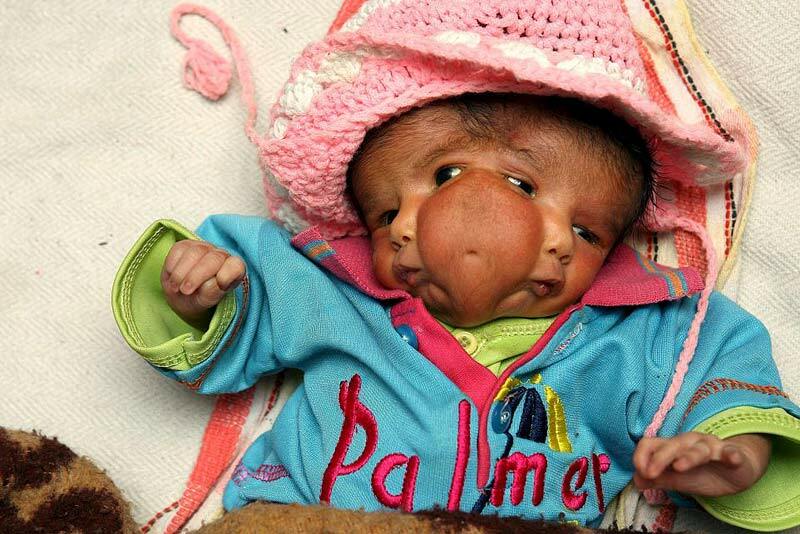 An Indian baby that was born with 2 faces or so called baby with 2 faces has craniofacial duplication but the Baby is doing well one month after her birth. Lali was born with two noses, two pairs of lips and two pairs of eyes – but she only has two ears. Her proud parents say she is a gift from god. This entry was posted on Tuesday, April 8th, 2008 at 1:24 pm	and is filed under Amazing, Interesting, People. You can follow any responses to this entry through the RSS 2.0 feed. You can leave a response, or trackback from your own site.